At The Hastings Center, Erik Parens investigates the ethical implications of using technologies such as psychopharmacology, surgery, and gene editing to shape ourselves and our children. He also investigates how emerging sciences such as genetics and neuroscience shape our understanding of ourselves as persons. His most recent book is Shaping Our Selves: On Technology, Flourishing and a Habit of Thinking (Oxford University Press). Parens leads The Hastings Center’s new NEH-funded Humanities Research Initiative, and is a member of Columbia University’s NIH-funded Center for Excellence in Ethical, Legal, and Social Implications of the Human Genome Project. 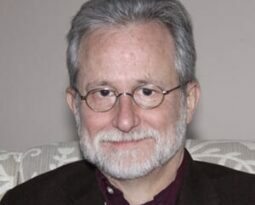 He is a Fellow of the Center for Neuroscience and Society at the University of Pennsylvania, and has served as a consultant to several government and nongovernmental bodies, including the American Academy of Arts and Sciences, the Institute of Medicine, of the National Academy of Sciences, and the Presidential Commission for the Study of Bioethical Issues. Currently Parens directs a project exploring the meaning of human flourishing in an age of gene editing. He is also an investigator on a project on the goals and practices of next-generation prenatal genetic tests and, with colleagues at the University of California, San Francisco, on a project on the potential use of genetic sequencing technology in newborns. He has previously directed projects on controversies surrounding research on the genetics of intelligence, what neuroimaging technologies can–and cannot–reveal about complex behavioral traits, the use of psychiatric medication in children, and the use of surgery to “normalize” the appearance of children born with atypical physical features; he has a long-standing interest in disability rights. He is the author or editor of 5 books, as well as numerous articles and commentaries for academic journals and general-interest publications. Parens received his Ph.D. and M.A. from the University of Chicago’s Committee on Social Thought, and his B.A. from the Committee on General Studies in the Humanities. National Academy of Sciences and National Academy of Medicine, Committee on Human Gene Editing: Scientific, Medical, and Ethical Considerations, Washington, D.C., July 12, 2016. Watch the video. Erik Parens, Shaping Our Selves: On Technology, Flourishing, and a Habit of Thinking, Oxford University Press, 2015. Erik Parens, ed., Surgically Shaping Children: Technology, Ethics and the Pursuit of Normality, Johns Hopkins University Press, 2006. Erik Parens, Audrey Chapman, and Nancy Press, eds., Wrestling with Behavioral Genetics: Science, Ethics and Public Conversation, Johns Hopkins University Press, 2005. Erik Parens and Adrienne Asch, eds., Prenatal Testing and Disability Rights, Georgetown University Press, 2000. Erik Parens, ed., Enhancing Human Traits: Ethical and Social Implications, Georgetown University Press, 1998. Erik Parens, “Utilitarianism’s Missing Dimensions,” Quillette, January 3, 2018. Erik Parens, “Giving Genes Their Due, But Not More,” Quillette, May 21, 2016. Erik Parens, “Made to Order,” Aeon, November 11, 2015. Erik Parens, “The Benefits of ‘Binocularity,’” New York Times, September 28, 2014. Erik Parens and Paul Appelbaum, eds., The Genetics of Intelligence: Ethics and the Conduct of Trustworthy Research, Hastings Center Report 45, no. 5 (2015): S1-72. Josephine Johnston and Erik Parens, eds., Interpreting Neuroimages: An Introduction to the Technology and It’s Limits” Hastings Center Report 45, no. 2 (2014): S1-S52. Erik Parens and Josephine Johnston, eds., Troubled Children: Diagnosing, Treating, and Attending to Context, Hastings Center Report 41, no. 2 (2011); S1-S31. Erik Parens, Genetic Differences and Human Identities: Why Talking about Behavioral Genetics Is Important and Difficult, Hastings Center Report 34, no. 1 (2004): S1-S36. Erik Parens and Lori Knowles, Reprogenetics and Public Policy: Reflections and Recommendations, Hastings Center Report 33, no. 4 (2003): S1-24. Erik Parens and Adrienne Asch. “The Disability Rights Critique of Prenatal Genetic Testing: Reflections and Recommendations,” Hastings Center Report 29, no. 4 (1999): S1-S21. Erik Parens, Is Better Always Good? The Enhancement Project, Hastings Center Report 28, no. 1 (1998): S1-S20. Erik Parens, “Choosing Flourishing: Toward a More ‘Binocular’ Way of Thinking about Disability,” Kennedy Institute of Ethics Journal 27, no. 2 (2017): 135-50. Josephine Johnston, Ruth Farrell, and Erik Parens, “Supporting Women’s Autonomy in Next-Generation Prenatal Testing,” New England Journal of Medicine 377 (2017):505-507. August 10, 2017DOI: 10.1056/NEJMp1703425. Erik Parens, “Drifting Away from Informed Consent in the Era of Personalized Medicine,” Hastings Center Report 2015; 45 (4): 16-20. Erik Parens, “On Good and Bad Forms of Medicalization,” Bioethics 2013; 27 (1): 28-35. Seth J. Gillihan and Erik Parens, “Should We Expect ‘Neural Signatures’ for DSM Diagnoses?” Journal of Clinical Psychiatry, March 18, 2011. Erik Parens, “The Ethics of Memory Blunting and the Narcissism of Small Differences,” Neuroethics 2010; 3 (2): 99-107. Erik Parens, Josephine Johnston, and Gabrielle A. Carlson, “Pediatric Mental Health Care Dysfunction Disorder?” New England Journal of Medicine 2010; 363 (20): 1187-1189. Erik Parens, Josephine Johnston, and Jacob Moses, “Do We Need ‘Synthetic Bioethics’?” Science 2008; 321 (5895): 1449. Erik Parens, “Do Think Twice: Kramer and Shenk on Depression,” Perspectives in Biology and Medicine 2007; 50 (2): 295-307.